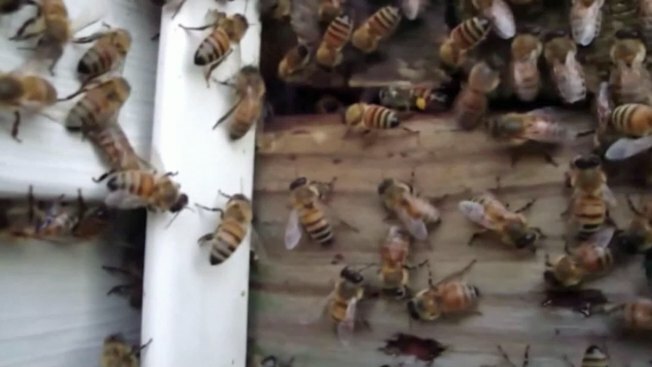 A South Texas farmer has died after being stung by hundreds of bees while using a tractor on a field near Rio Hondo. The San Benito Fire Department on Monday identified the victim as 54-year-old Rogerio Zuniga. Fire Chief Raul Zuniga Jr., who's a cousin of the victim, says the attack happened Sunday afternoon. Rogelio Zuniga was plowing corn outside his home, when his tractor hit an irrigation pipe that was home to several bee hives. When family members went to check on Zuniga, they found his stopped tractor covered in bees but no sign of him. Zuniga's sister said he tried to run away, but the bees caught up to him. His family found his body in the corn fields about 100 yards from the tractor. "He had been stung multiple times all over his body, and the bees were so aggressive that they tore his body up," said Lisa Zuniga. "There were spouts of blood all over his face and arms, it was horrible." The fire chief says an exterminator was brought in to kill the bees and clear the pipe, which had 15 to 20 feet of honeycombs.